Route# 33E to Clay Bottom School Rd. to Cotton Patch Rd. to Crisp Landing Rd. There are always many anoles around our home. I enjoy seeing them and their behavior and antics. 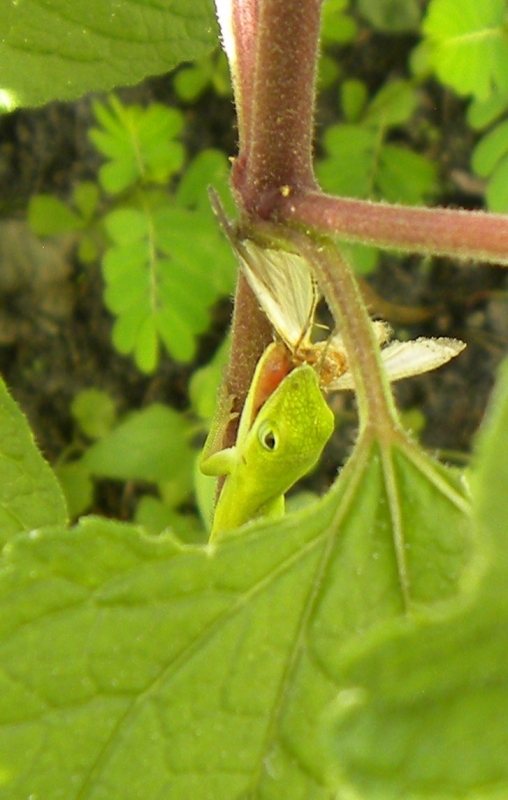 Baby male anole eating a moth almost as big as he.